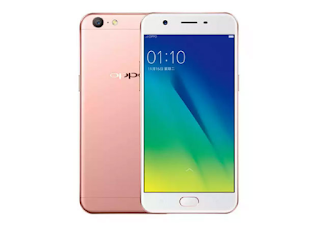 Rooting Oppo A39 Without PC Easily - Oppo has surprisingly been preparing one of the latest smartphone it is Oppo A39 which will become the next generation of Oppo A37 which has officially landed in the middle of this year. Unlike its predecessor series, this time Oppo A39 offers a more promising camera that is 13 MP for the rear & 5 MP for the front. In addition, this smartphone is also able to look beautiful with a slightly curved screen or 2.5D Curved Glass combined 5.2 inch screen and metal material. Meanwhile, to support all the contents, Oppo A39 handed over to the 2900 mAh battery capacity that can last up to 15 hours in normal use. As in other Oppo series, this smartphone is qualified enough to give selfie features thanks to its front camera 5 Mega Pixels resolution which is accompanied by a flash screen feature for selfie photo in place of minimum light. 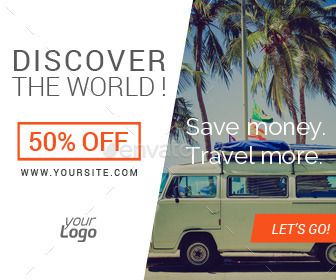 In addition there is a beautify 4.0 application that makes selfie photos more beautiful. In this chance, Freepiu feel called to discuss about how to root oppo a39 without pc because there are many Oppo A39 users who failed when they tried to root their phones. According to article about root oppo a39 xda, this phone is indeed kind of difficult device to be rooted but as a blog discusses about Android phone we won't give up just because this little problem. We'll focus to guide you to root your phone, it means this is not about unlock bootloader Oppo A39. If you're looking for the article about unlock bootloader, we'll provide it in another next article, just stay tune. Download KingRoot application in the link we've attached. Open and launch the application. 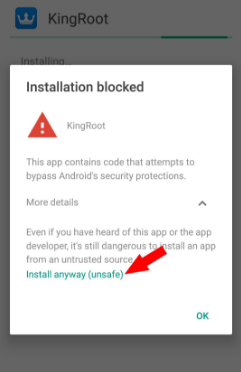 Before starting to rooting, you need a stable internet connection (this aims for KingRoot application to update the database/file into the system to make rooting process succeed). 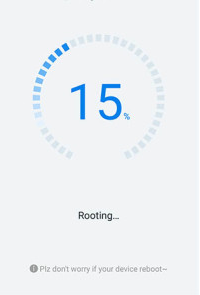 When there is a message that says "Rooted" or "Root successfully" means rooting process is successful on your Oppo A39. Congrats! your Oppo A39 has been rooted successfully via KingRoot application. In some conditions, some Android users still do not trust that their Oppo A39 has been rooted just through this tutorial. 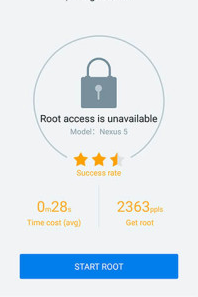 To ensure whether it is rooted or not, you can use Root Checker application. 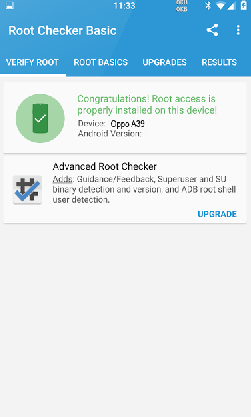 1 Response to "The Latest Way to Root Oppo A39 (Work 100%)"